This was a fluke find for me. I was out looking for sets to boost my recent display (see the last few days’ posts) and I stumbled across this sitting on a shelf. What a 2013 set was doing on a shelf in 2015, I’m not sure – maybe they found it in a dusty corner somewhere, but I was extremely happy. It was exactly what I needed! It’s the ultimate expression of a fire truck – one with a massive extending ladder. I loved it straight away! 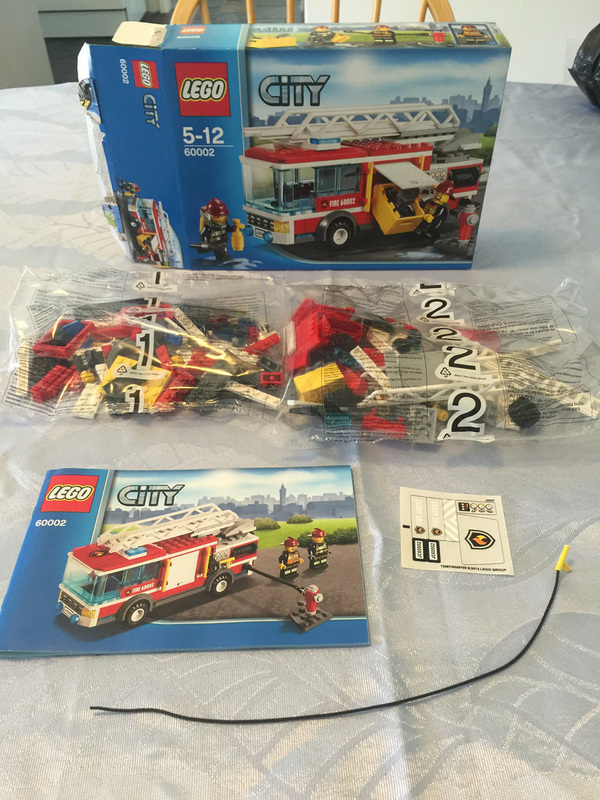 It’s probably the best Fire Truck LEGO has ever produced, and there’s been a few! Out of the box you’ll get two parts bags, one instruction booklet, a loose hose (string) and a sticker sheet with seven stickers. 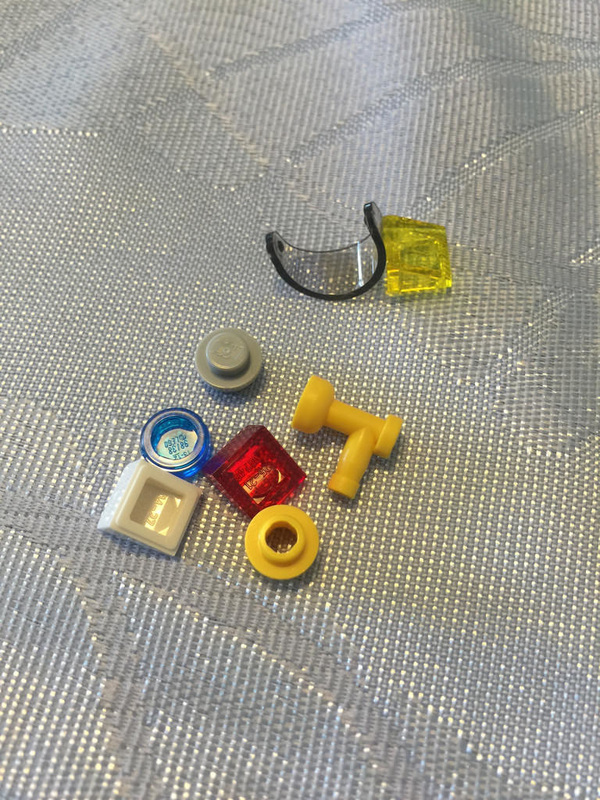 From what I can tell after some research, this set was one that introduced a few new elements to the LEGO range, including the extending white ladder, the bright yellow 1×1 round plate with hole, the yellow light sword blade, and the 6×6 round plate with hole, and possibly more. There are some other great parts in this set as well. Vertical windscreens, yellow boxes, and the nice doors on the engine sides are great inclusions to name a few. The minifigures are great in this set. 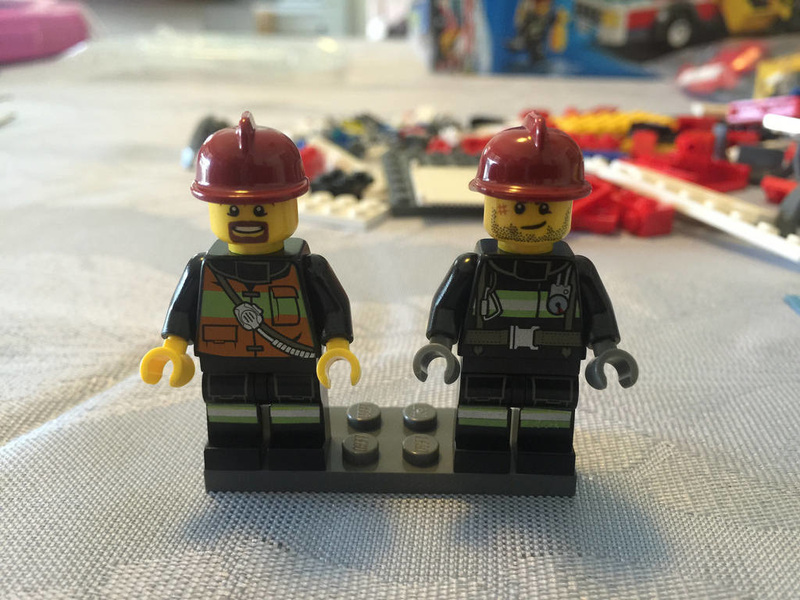 Two firemen – one with a seriously tough look – scars and stubble – and another guy with a goatee. They are brilliant, and both come with some pretty nice back printing too. Some basic spares in this set – nothing to write home about! 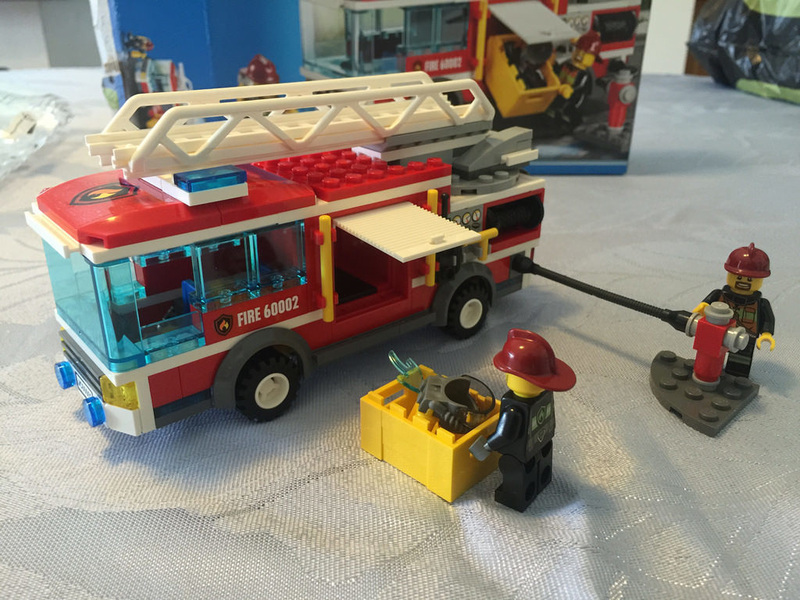 The build is pretty straight forward – a typical LEGO vehicle build. I love that the engine has a nice boxy feel, exactly like the real life counterparts. 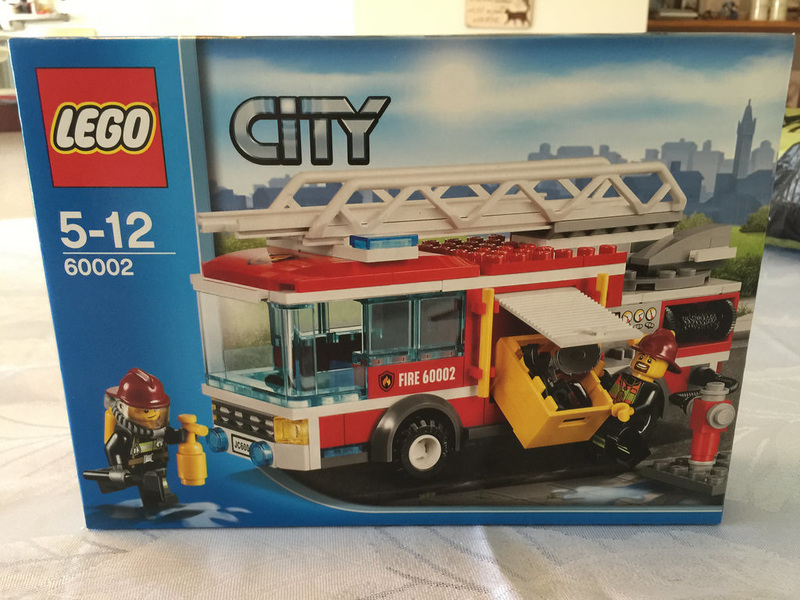 The cab is big enough to have both minifigures in there, and the addition of the fire hydrant is great! The only gripe is that I would have preferred the ladder to be on a click swivel base, instead of a free spinning one. It spins a little too easily. Apart from that, it looks brilliant, especially with a fireman perched on the side, holding on to the yellow bar. 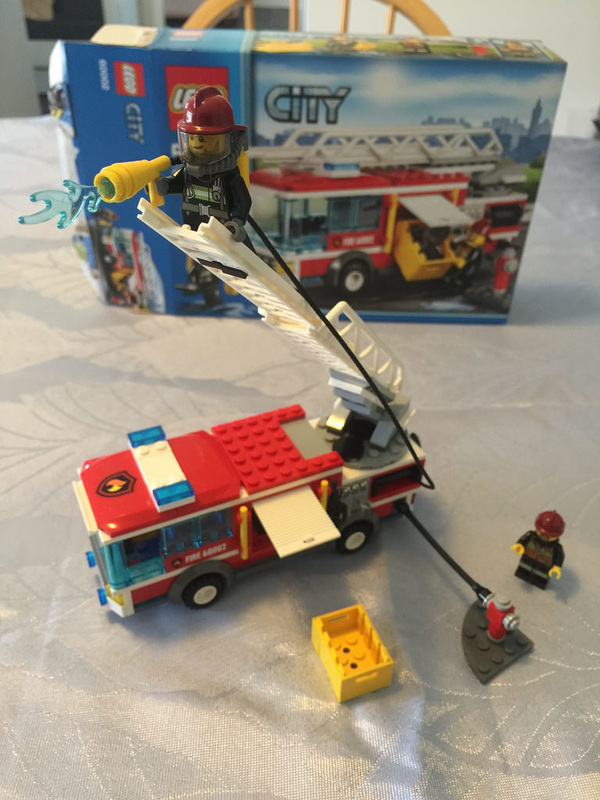 A minifigure with a hose balanced at the top of the ladder makes for a great display piece, and is definitely my new favourite vehicle in my collection. This set gets 9 out of 10 tiny fire hydrants. Next up on the review list will be 60052: Cargo Train. Don’t forget to like and share on Facebook! If you have this set, what are your favourite elements of it? What is one thing you’d change?